Living gluten free is more than just a lifestyle choice - it's a necessity for so many of us. Maybe you’re here because you’ve heard Jules speak, attended one of her cooking classes, read one of her three books or countless magazine articles, heard about her advocacy work promoting gluten free food labeling regulations, or maybe just because you’ve been enthusiastically referred by friends whose lives have been transformed by her tireless efforts. You’ve come to the right place. The Washingtonian says, “Jules is one of the top experts on gluten-free living in the Washington area; Time magazine, ABC, and other major media outlets line up for her advice.” Because Jules’ mission in life is to make your gluten free life safe, successful and delicious, her podcasts provide the perfect road map for anyone living gluten free, at any stage in their journey. Her interviews with chefs, change-makers, moms, doctors and other leaders in the gluten free community are at once entertaining and informative, so you’ll enjoy each show knowing it’s time well spent. 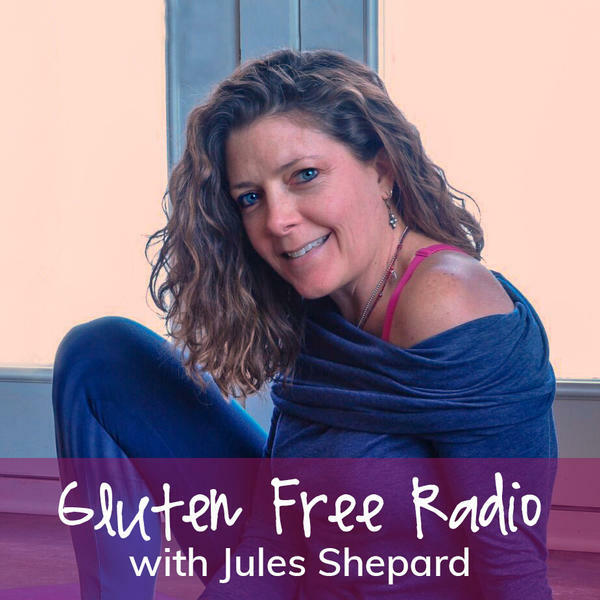 Gluten-free expert, author, coach and advocate Jules Shepard hosts a weekly show offering news, interviews with intriguing guests, gluten-free baking tips and otherwise lively conversation. In honor of Celiac Awareness Month, Jules is honored to again interview Dr. Alessio Fasano, one of the world's foremost experts on Celiac Disease and Non-Celiac Gluten Sensitivity (NCGS). Dr. Fasano heads the Center for Celiac Research at Mass General Hospital. Jules and Dr. Fasano will discuss the current state of celiac research and development of treatments and therapies, as well as the future of testing for non-celiac gluten sensitivity. In light of recent research studies which seem to question the existence of NCGS, Dr. Fasano will discuss those studies, the application of the low FOMAP diet and the current scientific perspective on NCGS. If you have questions for Dr. Fasano, post them to Jules Gluten Free Flour on Facebook or @JulesGlutenFree on Twitter or email them to lauren@gfJules.com. Announcing the Winning Cookies from the 2016 Gluten Free Cookie Swap!